Karen Millen 30th Anniversary Party: we’re all invited! 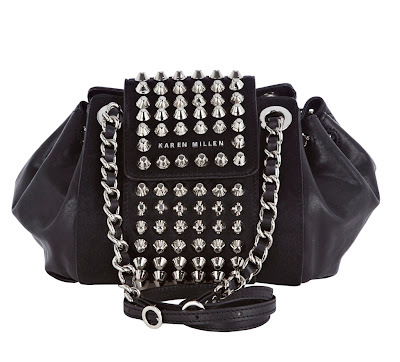 Karen Millen celebrates its 30th anniversary this year with the launch of a limited-edition anniversary collection, comprising 30 covetable accessories that include that gorgeous ponyskin i-Pad case I showed you in a recent post. The full collection will be unveiled at a special anniversary party this evening at the Dublin Grafton Street store, and the best news is – we’re all invited! The party is one of 30 being held worldwide to celebrate this landmark occasion for the brand. We can expect a drinks reception from Jacob's Creek Reserve, mini makeovers from the LA Make-up Academy, personal style sessions from stylist Lisa Fitzpatrick, and tunes from none other than Fade Street’s CiCi Kavanagh. (I love Fade Street, have I told you that before?!). And of course we’ll also be able to browse the new collection, crafted from luxury materials with finishes including mock croc and ponyskin (like that handbag above). It also includes a specially designed black nylon bag for life. The Karen Millen 30th Anniversary Party is happening in Dublin’s Grafton Street Store between 6pm and 9pm this evening. The anniversary collection of 30 limited edition lifestyle accessories will be available in selected stores and on Karenmillen.com. Thanks Joanne, looking forward to it! Oh wow, I LOVE that bag! It's amazing! Definite wish list material :) Hope you had a brilliant time!